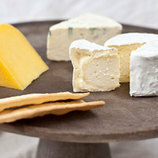 In the heart of Seattle's historic Pike Place Market is the city's only artisanal cheesemaker. 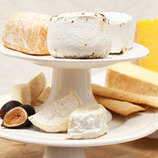 As a lover of fine cheese from a young age, Kurt Beecher Dammeier learned about cheesemaking while enrolled at Washington State University and in 2003, his dream, Beecher's Handmade Cheese, became a reality. Nestled amongst the numerous food stalls and bustling activity of the market, Beecher's has made the production of hand-crafted cheese not just an art, but an exhibition. Visitors can peer into the windowed cheesemaking kitchen and see milk sourced from local dairies just outside of Seattle being turned into beautiful curds and finally, whole wheels of exceptional cows' milk cheese. In the summer of 2011, Kurt opened a similar facility in the Flatiron district of New York, hoping to convey his passion for cheese in one of the greatest food cities in the world. Flagship Reserve is made only on certain days, using the last curds on the table from Flagship makes. 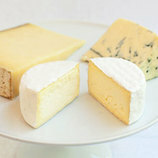 These curds allow for a cheese with slightly less moisture, higher salt content, and thus a richer taste and texture. Flagship Reserve wheels are bound in cloth and matured for over one year, giving them a dense and toothsome texture and intensely concentrated flavor. 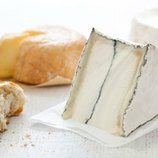 The cheese melts delicately on your palate, leading with sweet fruit and caramel and following with little bursts of acidity and a finish that hints of toasty bread and cream.